My brother Andy and I drove from Greenville to Baltimore yesterday, October 26, 2009 to attend 'An Evening With Brooks' at the Meyerhoff Symphony Hall. We parked at a parking deck in downtown Baltimore that I am familiar with and decided to walk until a cab came by that we could hail (one never did). I had no clue where the site was exactly, but we had plenty of time and were enjoying the walk. We took a turn here and a turn there and found that we were right outside the symphony hall (completely by accident). We hung around in the lobby for something like 5 minutes and looked outside to see an older gentleman get out of a car; It was Brooks!!! Andy and I went outside and greeted Brooks, who was very cordial, he greeted us with a 'Hi, how are you doing? ', shook my hand and offered to have a picture with me (which was the SOLE mission I was on). The event was to honor Brooks Robinson and to raise money for The Babe Ruth Museum and Prostate Cancer Research. We purchased tickets for the event, and paid the additional fee to attend the pre event cocktail hour where we were told we would be able to interact with many of the evenings guests and Brooks himself. We were disappointed when we learned that there were 2 'VIP' sections, on for the people who paid to get into the cocktail hour, and another for ACTUAL VIPS (Brooks, Cal Ripken, Jim Palmer, Boog Powell, etc). We were told that the real VIPS would come down and interact with us, but it didn't really happen. I believe this was mainly because they solg out the event and had not planned on that many people attending. We did, however, meet, and see a few dignitaries. I was shoulder bumped by Earl Weaver as he walked to the elevator to go the the VIP level. I was so in shock when I realized who it was, I wasn't able to get my camera out. 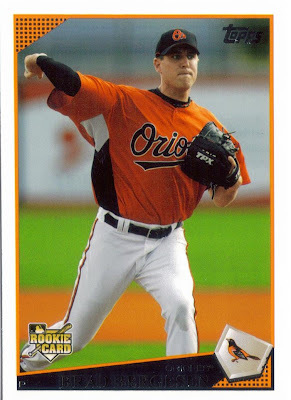 We did have chances to talk to and hove pictures made with Chris Hoiles, the Orioles catcher from the 90's and Tippy Martinez, a reliever from the O's 1983 World Series Championship team. After the ceremony, we were able to meet with Brooks himself, have our programs signed, and pose for pictures. I was able to get Andy a picture with Brooks this time, since I was unable to do it before hand (I was in complete and utter awe...). Below are some more pictures from the evening. The ones from our seats didn't take all that well, but I don't care. Brooks and Cal together during Cal's speech. Three of the dignitaries got standing ovations from the 2,000+ crowd, Brooks, Cal, and Earl Weaver. I'm standing with former O's reliever and World Series Champion Tippy Martinez. My brother Andy with Chris Hoiles. 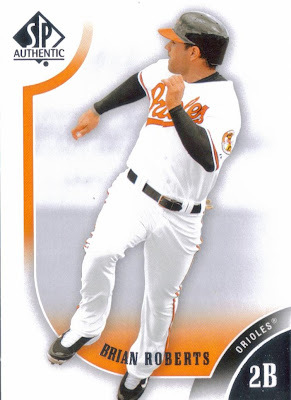 I attended the game in Baltimore when he was inducted into the O's Hall Of Fame. We were very happy to be able to attend the event and take part in a ceremony honoring the greatest 3rd baseman of all time; the gold standard by which all other 3rd basemen are measured. He was as nice as everyone has always said he was, and I am still in disbelief that I actually got the chance to meet him and have my photo taken with him. Hope you guys enjoyed this as much as I did writing it up. 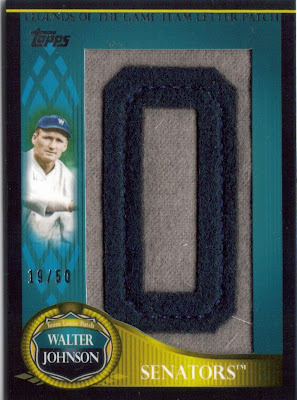 Next up is the SWEET Walter Johnson commemorative patch card. I love these things. 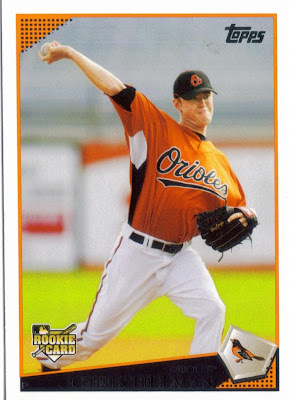 Its also cool that my dad went to Walter Johnson High School in Bethesda Maryland... 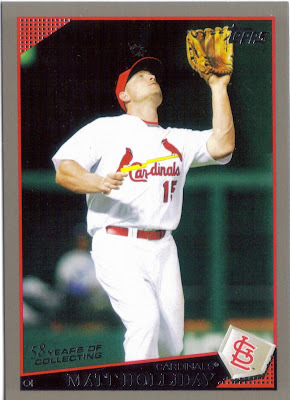 Check out the 1/1 Platinum Matt Holliday. Pretty sweet, it's my first platinum card (that I can remember...). 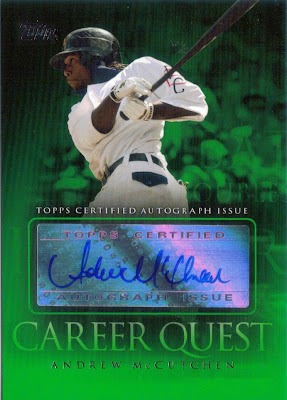 I also pulled this really nice Andrew McCutchen RC Auto. If he pans out, I'll be one happy camper.... This was a much better auto than some tht were in Series I or Series II. 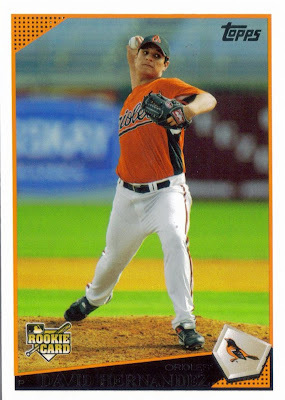 Pete and I did a pretty good job of assembling the Orioles rotation as well, nabbing David Hernandez, Chris Tillman and Brad Bergesen RCs. 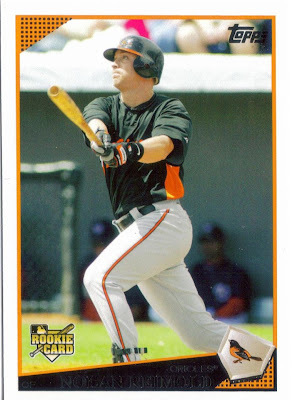 We also got the Nolan Reimold RC. 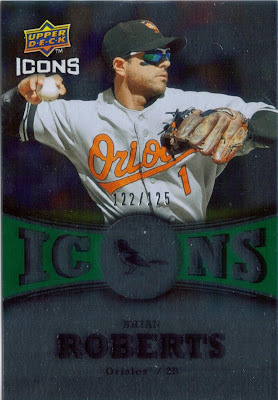 If there is a Wieters in this set, we didn't pull it. If anyone has it, please let me know... I WANT it!!! 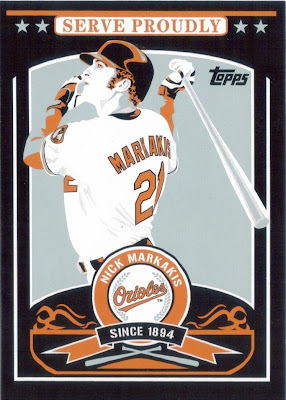 I got this Nick Markakis Victory card from another guy who shops regularly at the shop... Definitely took advantage of the fact that he isn't an O's fan... I really really like the design to the Victory cards... Very sharp!!! So, yes it has been a very productive past few weeks. The big event, however, comes tomorrow. I can't wait... I'm not going to spill it yet, but I will say that my younger brother Andy and I will be making a 5 and a half hour drive from Greenville, NC to Baltimore... After that, well, you just have to keep checking back for updates, now, don't you??? 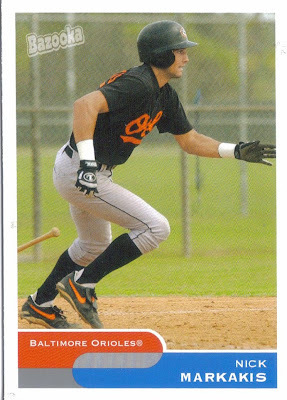 Keeping with my Brooks themed month, I got this card in the mail the other day. 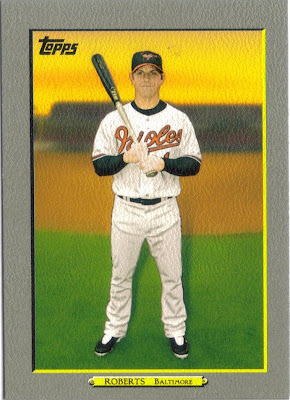 This is from the 2006 National card show, a 'special issue' that Topps released just for that show. 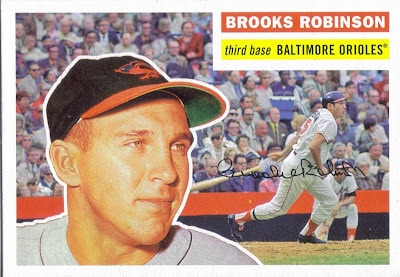 They issued a few cards that were 'missing' from the 1955 and 1956 sets, and this Brooks Robinson pre-rookie is one of them. 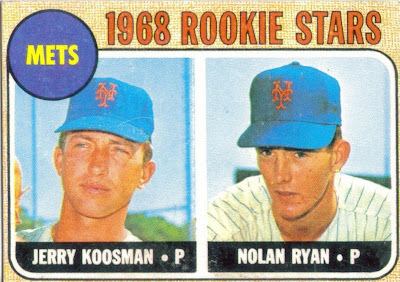 I was very pleased that Topps tried to keep it as authentic as they could, staying with the size of those cards from then, as well as the dark cardboard stock. The only thing that detracts from the authenticity is the bar on the back with the 2006 copyright. I think they should have just dont the whole copyright T.C.G. etc etc and been done with it. Oh well, thats why Im not being paid by them. Anyway, I think this is a nice addition to my collection of Brooks'. By the way... coming up will be a SPECIAL blog... give me a few weeks and you'll see what I mean, haha. What happens when your baseball hero is diagnosed with a life threatening disease? We all look at our heroes as if they are indestructible. They appear larger than life. What happens, though, when your baseball hero comes down with a life threatening disease? We mourn athletes twice. We mourn them when they retire, and we mourn them again when they die. Its a fact of life. Brooks Robinson revealed in May that he was undergoing treatment for prostate cancer. Yesterday, on Roch Kubatko's blog on http://www.masnsports.com/ Brooks said that his three-month checkup revealed that the 39 rounds of chemotherapy he underwent eradicated the cancer and that he was virtually clean. He has a six-month checkup coming up, but Brooks is apparently not worried about the outcome. He feels strongly that he is cancer-free. I wish I had the same confidence for this man that I have never met. 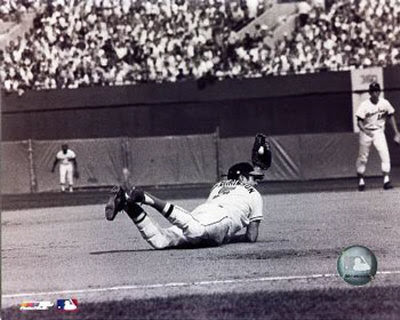 Brooks Robinson is 72 years old. He isn't exactly going to be robbing Johnny Bench of any base hits anytime soon. I have to face the fact that one day, my heroes will be gone. Its a tough pill to swallow, but it happens. I hope that I will be allowed to meet Brooks at some point in the near future, if my health, and his, allows.